Sharing stories is an integral part of human nature. Today, immersive installations, epicurean encounters and video games can all be used to spin a narrative, yet music and film still reign supreme, and both are employed to enthralling effect on The Bride, Natasha Khan’s fourth record as Bat For Lashes. The tale relayed by this audiovisual tour de force is one of tragedy, as a wife-to-be loses her betrothed in a fatal crash on her wedding day; the audience following her as she struggles with grief, doubt and the true meaning of love, before eventually finding the power to begin again; stronger, alone. The concept for The Bride came to Khan as a mental image that she then captured in a monoprint. “Around that time, I had a filmic head on as I was thinking about scripts and reading interviews with Kubrick and Lynch on Lynch and books on screenwriting,” she says, “And I remember drawing a bride with this huge veil coming down from the sky over the top of a mountain and this car on fire at the bottom and thinking, ‘Oh her husband's in that car’.” The visual was to set the course for two years of creative endeavour by Khan and her collaborators as she marshalled the audio-visual project to fruition. With the conceptual framework laid out, Khan worked diligently to ensure that each element was in service of a cohesive whole, from the writing of those heart-rending songs, prior to their recording and producing in Woodstock with the assistance of Simone De Felice; to the meticulous hand-colouring of polaroid stills for the artwork, in partnership with Krug; to finer details such as the Bride’s lurid blue eye shadow. “Absolutely every aspect has been overseen by me and that's why it feels so fully fledged. It's indisputable that it's come from one vision.” A statement exemplified by her self-directed video for single, In God’s House [see above], shot in a desert location intended to match the turmoil of The Bride’s psychic landscape. The feeling of deep connection that Khan accesses when meditating is also drawn upon when she performs. “I've always done that when I've played live. It’s like what I imagine being the storyteller of a tribe might be,” she says, referring to the trance-like state she conjures on stage, “and in a past life maybe that’s what I was.” And watching her dynamic form, clad in a scarlet wedding dress and black veil, command the Union Chapel’s stage during The Bride’s exhilarating London debut, it’s easy to envisage her captivating crowds such as these thousands of years ago. 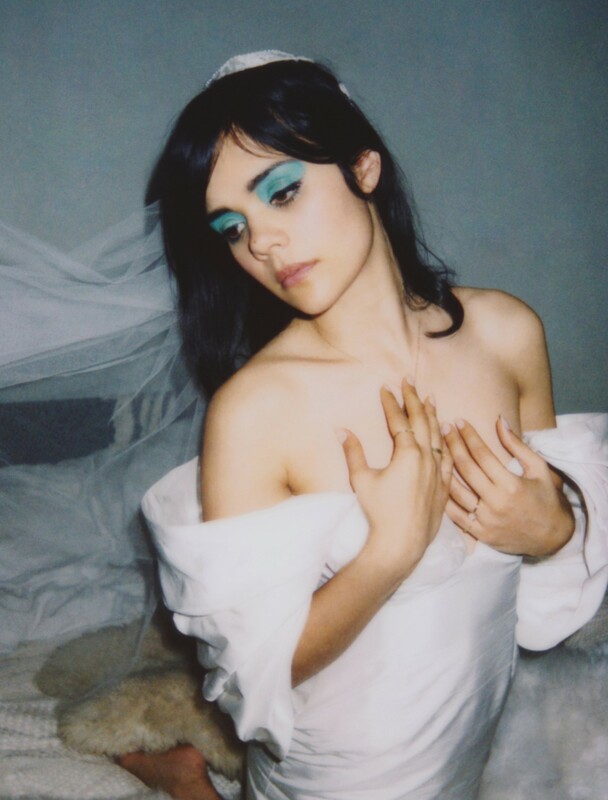 'The Bride' by Bat For Lashes is released on July 1, 2016. 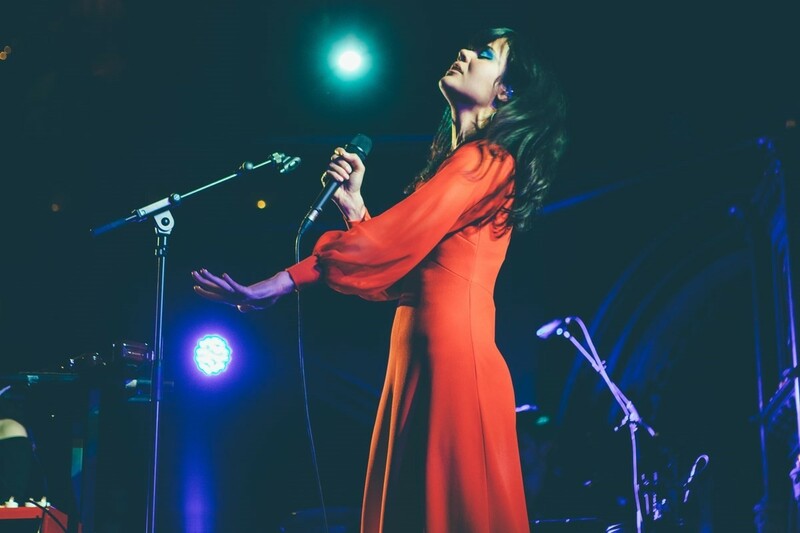 See Bat For Lashes on tour in the US this summer.